Eleaser comes to Residential Mortgage Corp with over 10 years of mortgage experience. Her knowledge of VA, FHA, Conventional, USDA and NC Housing loan products will help you find the best program to fit your financial goals and housing needs. And with in-house underwriting and processing, you can rest assured your mortgage experience will run smoothly and seamlessly. 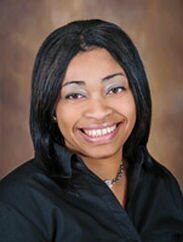 Eleaser excels at great customer service and putting the needs of her clients first. Whether purchasing or refinancing, let Eleaser custom fit your residential mortgage needs to your unique lifestyle and budget. You may contact me at (910) 476-4497 or by email at . "I have no complaints! The team was great!" "Eleaser was amazing throughout my loan process. She kept me calm and informed. She answered my questions and concerns in a timely fashion. She was extremely pleasant to work with. She is definitely as asset to Residential Mortgage." "Great experience. Eleaser Butler was very knowledgeable and took time to help me achieve my goal. I would recommend Ms. Butler to my family and friends for refinance."